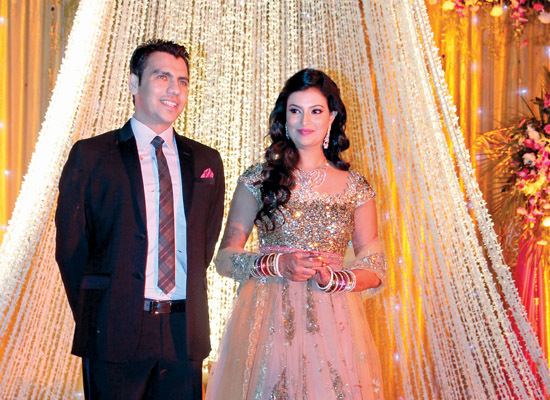 When it comes to Indian weddings, the term ‘extravagant’ instantly springs to mind. Vivaah, a Sanskrit word meaning ‘special dedication’, represents the grandeur, tradition, colours and elaborate celebrations associated with the sacred event. Weddings in India celebrate marriage as a sacrament, a firm union of two souls merging into one. It not only represents the formation of a bond between two people, but the uniting of two families as well. The idea behind the institution of marriage is to foster not self-interest, but love for the entire family. Hindu weddings emphasise three essential values: happiness, harmony and growth. Celebrations can last as long as four or five days, irrespective of the size and style of the wedding. Hindu marriage ceremonies are vital, and each one has a distinct significance of its own. 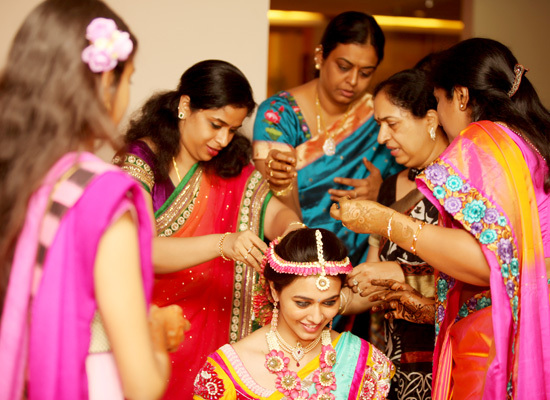 Indian weddings signify much more than decoration, finery, entertainment, wedding planners, mehendiwalis and flowers. Traditional Hindu ceremonies can last as long four or five days. Those which take place prior to the wedding itself are often as significant as the ceremony proper. Things usually kick off with a roka, a formal commitment to marriage from both families. This is the first of the procedures to be observed and is usually performed at the bride’s house. The ritual signifies that the bride and groom have been officially entrusted to each other. This is followed by the sagaai, or engagement, where the couple exchanges rings in the presence of a priest. Some families celebrate only the latter, but it is generally after these occasions that the wedding date is set. The mehendi is one of the more important pre-wedding rituals. Usually held at the bride’s house, it is attended primarily by close friends and family of the bride. At this colourful event, professional mehendiwalis adorn the bride’s hands and feet with intricate henna patterns that represent joy, beauty, spiritual awakening and offering. Bridal mehendi sometimes goes up to the elbows and halfway to the knees. In addition, all the women at the function are invited to get beautiful designs on their hands. The occasion is further enlivened by music and dance; in the old days, traditional songs were sung by the elders of the family while everyone else danced. Today, professionals take on those duties. Essentially, what was earlier an intimate function is now a much larger and a more significant part of wedding celebrations. During the mehendi, it is tradition for the names of the bride and groom to be hidden in the design on the bride’s hands. The wedding night, they say, does not commence until the groom has found both names. After getting married, the bride is not expected to perform any housework until her mehendi has faded completely. see each other between the end of the haldi and the wedding day. Sangeets are packed with fun, music and entertainment. Like the mehendi, this was once an intimate family gathering that featured all-night merriment. Nowadays, the sangeet is done on a grand scale. Friends and extended family of the couple put on a variety of performances, and a hotel or large banquet hall is usually the venue of choice, given the typically high turnout. Practice starts a few weeks in advance, with choreographers hired to teach and perfect moves. It is here where the bride and groom are introduced to each other’s extended families, and everyone comes together for a night of laughter and memories. As we’ve said, Hinduism sees marriage as more than just the union of two individuals. It is the beginning of a lifetime of understanding, commitment, mutual love and spiritual growth. While celebration and fun are definitely involved, there is so much more to the institution. The bride and groom will have grand dreams for a day that marks the beginning of a new life together. The procession of the groom’s entourage at the wedding venue is known as the baraat, and it is composed primarily of male family members and friends dancing around him to the beat of the dhol. This symbolises the pleasure and happiness of the groom’s family in accepting the bride as a part of their clan; as one of their very own. The baraat is met by the bride’s family at the entrance to the wedding venue. Before sitting astride a white horse, the groom is adorned with a saafa (turban) and sehra (floral veil) tied around his forehead by his mother. On the horse, he is accompanied by a younger brother or a young boy in the family, who acts as his sarbaala (squire). While the groom traditionally enters on a white horse, more innovative vehicles are gaining popularity these days. Grooms have been seen entering riding a superbike, in a luxury car or even on the back of a truck. In some cases, the groom has been known to arrive at the venue in a helicopter. After the baraat arrives at the venue, the bride’s parents and family elders welcome the procession and perform aarti. Members of the bride’s family welcome others in the procession, and both sides are officially introduced before garlands are exchanged. This ritual, known as milni, is followed by the bride’s family escorting the groom to the mandap, a canopied altar where the wedding ceremony will be performed. After the groom is escorted to the mandap, the bride enters the hall accompanied by her father, signifying that he approves of the union. 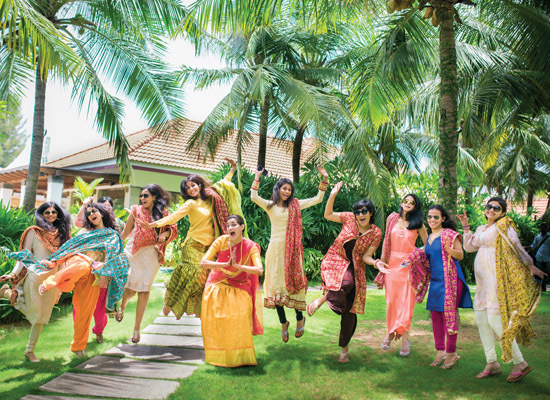 In some parts of India, the bride is escorted by her sisters, female cousins and close female friends. 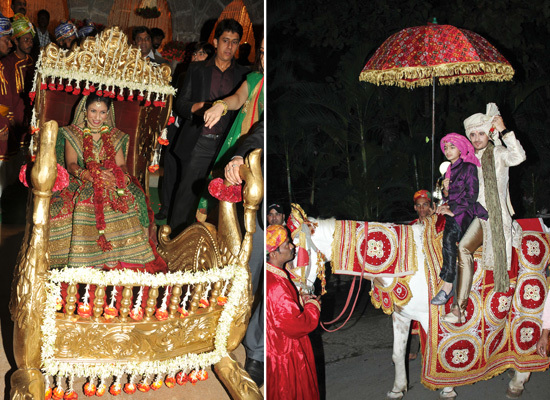 Very often, Indian brides are carried to the mandap on a palki (palanquin) by her brothers. Palkis are usually decorated to the hilt, a real visual treat. After the priest begins to conduct the wedding, the bride’s father pours holy water into his daughter’s palm and places her hand in the groom’s, officially giving her away. The groom’s sister or female cousin then ties the end of the groom’s scarf to the bride’s saree using symbolic betel nuts (unity), copper coins (prosperity) and rice (happiness). In this ritual, the bride represents the goddess Laxmi, while her groom is symbolic of Vishnu; the parents are facilitating their union. Known in the north of India as havan and in the south as homam, this ritual begins with the priest lighting a sacred fire. Agni, the fire deity, symbolises divine presence as a witness to the ceremony and the couple’s commitment to each other. Crushed sandalwood, herbs, sugar, rice and oil are offered to the sacramental fire. 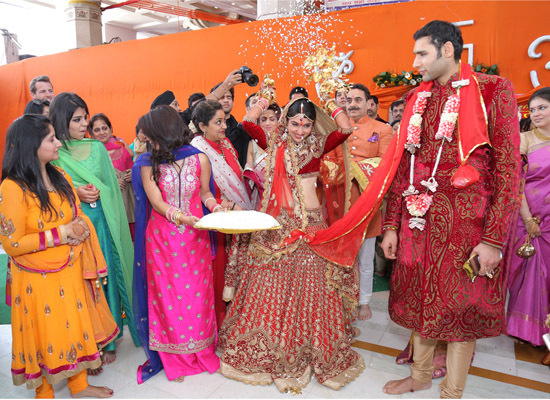 The bride and groom walk clockwise around the fire holding each other’s hands, making seven rounds while remembering the four aspirations in life: dharma (duty to each other, to family and to the divine), artha (prosperity), karma (energy and passion) and moksha (salvation). The bride, representing divine energy, leads the groom during the first three rounds, signifying her purpose to stand first beside her husband in all happiness and sorrow. The groom then leads the bride in the last four rounds, signifying balance and completeness. • Together, we will live with respect for one another. • Together, we will develop mental, physical and spiritual balance. • Together, we will prosper, acquire wealth and share our accomplishments. • Together, we will acquire happiness, harmony and knowledge through mutual love. • Together, we will raise strong, virtuous children. • Together, we will be faithful to one another, and exercise self-restraint and longevity. • Together, we will remain lifelong partners and achieve salvation. These seven vows are supposed to serve as an anchor to help the couple withstand the ups and downs of life, united in a sacred relationship. Though different religions and cultures have their own vows and ways to perform them, the basic meaning remains the same. After the pheras, the groom ties a mangalsutra (mangal: auspicious; sutra: thread) around his bride’s neck. This is a symbol of the commitment, safety and security that he offers his wife. He secures the necklace by tying three knots, each one representing an important aspect of the bride’s married life: loyalty to her husband, dedication to her new family, and adherence to the divine. The bride is supposed to wear this necklace throughout her life as a symbol of her marital status. In modern times, this ritual has changed dramatically. Women wear it as a fashion accessory rather than as a symbol of marriage. In fact, some married women don’t even wear it on a daily basis. Traditionally, a mangalsutra is made of two strings of small black beads with a small gold or diamond pendant; modern ones are available in various designs and styles, some with large diamond pendants and some with gold chains. The significance remains the same. 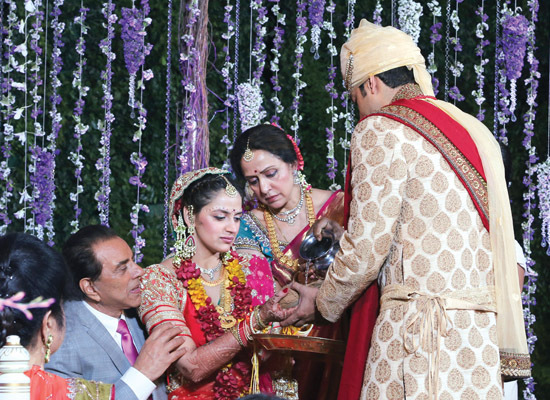 After tying the mangalsutra around the bride’s neck, the groom applies a small dot of vermilion to the bride’s forehead, welcoming her as his partner for life. It is only after the sindoor is applied that the wedding is considered complete. After the wedding rituals are completed, it is time for the bride to leave. As she bids adieu to her parents and her home, this is often the most emotional part of the ceremonies. This is a big step for every bride; no matter how happy everyone is for the union, the bidaai leaves them teary-eyed. The bride, accompanied by her parents and relatives, is led to the doorstep of her house. Before crossing the threshold, she throws three handfuls of rice backwards over her head and into the house. Thus, she symbolically repays her parents for all that they have given her. The father of the bride then escorts her to the doli and hands her to the groom, while her maternal uncles and brothers carry the doli out of the venue. The age-old custom of the bride kicking a kalash (pot) filled with rice at the doorstep of her in-laws’ house is called gruha pravesh, a housewarming. After kicking the pot, the bride takes her first step into her new home with her right foot. This is an auspicious moment, as it signifies the start of a new life in a new place. In some parts of India, the bride dips her feet in a mixture of water and vermillion before leaving her footprints across the floor. Considered to represent Laxmi, a bride is said to bring success and prosperity to her new family this way. The reception is organised anywhere between the same day as the wedding and a few days after. It is a more casual celebration of the newlyweds, more or less a party, and is organised by the groom’s family in honour of the couple. It allows guests to meet, greet and bless the couple. Usually a much larger gathering than the wedding, it hosts guests and well-wishers from all walks of life, as well as extended family and neighbours. The rituals followed on this day, if any, vary by region and personal preference. In India, weddings are a mega-industry. The sheer volume and extravagance of it all is staggering. While many of us don’t consider it a career path or business opportunity, weddings are actually a huge source of revenue for many people. From the outside, we think of them as emotional celebrations full of love and laughter, but there’s so much more that goes into a wedding. If you’re married or have had someone close to you get hitched, you know that there’s loads of planning and detailing that go into one week of festivities. From every last ingredient of the dishes to be served, to every move that friends and family perform at the sangeet, decisions are seemingly never-ending. If you’re questioning the viability of a move into this billion-dollar industry, consider this. Indians give marriage tremendous importance, and there is often an unreal amount of pressure associated with this one day. It must be grand, it must be extravagant, and it must be a night to remember for both the couple and all their guests. In addition, weddings influence a family’s social and fiscal standing. The grander the celebrations, the more affluent and popular you’re perceived to be. This is why people save much of their money for their children’s weddings, and it’s also why the wedding industry is as lucrative as it is today. We create an aura around weddings and the promises they hold. Naturally, the business side of things thrives on this magic, seeking to create and conjure interesting ways to draw us in. There is no shortage of ideas and industry experts; here are just a few of the elements that couples may consider when planning their special celebration. The destination wedding is often a wildly extravagant (and costly) proposition. It comes as no surprise that people love the idea of a destination wedding. After all, nothing spells romance more than exchanging vows on a beach or in a palace. The whimsy and fun of a destination wedding is captivating, though it may work out far more expensive than a ceremony in your hometown. Domestically, Goa is one of the more popular destinations; overseas, Thailand is often the location of choice. Jaipur is another hot favourite due to its regal aura and magnificent palaces. Hotels and resorts in places like Goa and Jaipur also take on a lot of the hassle, such as overseeing decorations and lighting (in addition to food and accommodation). Destination weddings generate plenty of business for hotels and airlines. Though you may not have as many guests as you would in your hometown, you’ll be spending vast sums of money on airfare and accommodation for those who do make the trip. And with every passing year, the destinations seem to get grander, and so do the weddings. 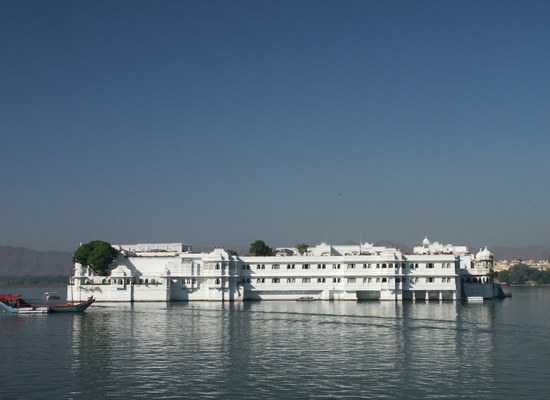 Though the concept is unforgettable and gives your guests the chance to enjoy a unique getaway, the expenditure of time and money is considerable. From choosing the right venue to finding accommodation for everyone flying in, there’s a lot to plan and think about. Hotels in beach destinations benefit from their proximity to the sea, and airlines benefit from bulk bookings, especially popular during wedding season. In fact, some hotels and resorts now advertise themselves as specialists in these types of weddings, and they even provide special packages and plans. The wedding planning business in India is huge. 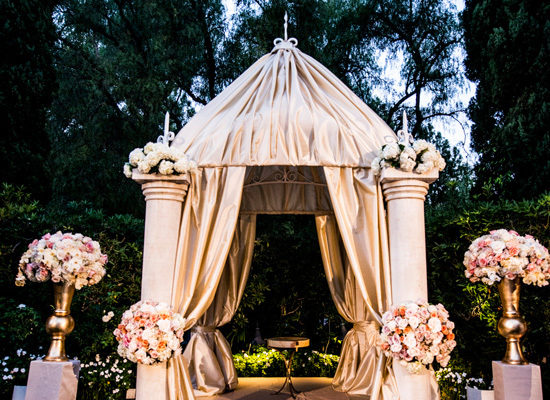 Ceremonies take place throughout the year, so professionals are always in demand. Come wedding season, and all the best planners are booked solid before you know it. A wedding is to be enjoyed, especially by the bride and groom. But copious amounts of planning and coordination can make it seem like a chore instead of something beautiful. The stress that comes with doing everything yourself might have you wishing for things to just be over already, instead of looking forward to the big day. This is where a wedding planner comes in handy. From simple tasks like getting the right flower arrangements to more complex challenges like finding the right venue for each ceremony, the wedding planner does it all. She makes your stress her own, working to make your dream exactly as you imagined it to be. Wedding planners are experts at avoiding classic ‘bridezilla’ situations because they help everything go off smoothly and without glitches. But make no mistake: it can take months, sometimes as long as a year or more, to plan a wedding. With commitments in the office and elsewhere, few people have that kind of time on their hands. No matter the state of the economy, the wedding planning business will always be in the black thanks to the value we give time. A large wedding can cost anywhere from a few dozen lakhs to several crores, and the planner usually charges about 10% of the total cost. But wedding planning isn’t for the mild and easily stressed – it requires plenty of time, talented coordination and a cool head. In fact, the business has boomed so much that there are now wedding planning courses. Thought there aren’t many of these in India, you can always study abroad or learn through apprenticeship. Since your wedding is possibly the most important and memorable day of your life, it’s crucial to find the right photographer to capture your special moments. With so much riding on him, the wedding photographer’s job can be very tough. But wedding photography has caught on in India, and it’s now an integral part of almost every ceremony. When you consider that people spend lakhs to hire the right shutterbug, you realise how big this industry is. First and foremost, photography gear is expensive. In addition, the photographer and his team need to be compensated for their time, skill, transportation and lodging (for out-of-town and overnight gigs). It’s definitely a lucrative line of work, but it’s also a tough one. The likes of Photo Tantra, Rahul de Cunha Photography and Ramit Batra keep growing, covering more celebrity and high-profile weddings. They have to be everywhere throughout the celebrations, ensuring that they get stunning shots of all the guests. Apart from candid pictures, wedding photographers are now focusing on themed shoots. Many service providers offer the couple a shoot before or after the wedding with quirky poses, fun props and stunning locations. For a talented photographer who enjoys the idea of a wedding and loves to travel, few other types of work are as ideal. People are willing to shell out more money on original and fun concepts. There’s an unspoken rule that photographers don’t show raw images. From a business perspective, wedding photographers also require time to edit their work, getting the images just right before creating classy albums and productions. Photography courses and institutes have always been around, but specialised training in wedding photography is catching on. The business is now so big that many people from fields like information technology and engineering are moving into wedding photography. True talent and passion will always stand out, so choose wisely. Video is also a huge part of weddings, and videographers might charge a lot for 15-20 minutes of footage. But the truly talented ones capture the essence and emotion of the entire wedding in that short film. The digitalisation of weddings and everything that surrounds them is the ‘in’ thing. With companies like The Wedding Filmer doing extremely well and wedding photographers like Joseph Radhik counting videographers among their teams, it’s not difficult to find someone who can offer still and moving imagery in one package. Social media sites like Facebook and Instagram help photographers and videographers – both aspiring and established – create and extend their presence. These platforms serve as a great way to showcase their work. In fact, Facebook pages and Instagram profiles have become informal portfolios for many photographers and videographers. Looking your part on the wedding day is vital, especially for the bride. Most women dream about a perfect wedding, and have very specific ideas of what they want to wear and how they want to look. This means that designers are always in demand, and why not when bridal fashion is such a cash cow? Apart from the multiple events and functions a bride needs to shops for, getting a wedding trousseau in order requires input from the designer as well as plenty of shopping hours. Though there are several ethnic wear designers to choose from, some are more popular than others. For the likes of Manish Malhotra, Shantanu & Nikhil, Sabyasachi and Tarun Tahiliani, bridal wear forms a huge chunk of their business. Brides fly them to all parts of the country (and even the world) to acquire exclusive, luxurious designs for the big day. The dozens of national-level fashion shows and weeks are testament to how fashion-conscious India has become. From Wills India Fashion Week to Lakmé, there’s plenty on offer, especially when it comes to weddings and bridal wear. The biggest among these is India Bridal Fashion Week, which showcases bridal wear from the top designers. In addition to spending lakhs on bridal wear and a wedding trousseau, jewellery is a vital part of getting your look right. Raj Mahtani, Neerav Modi, Amrapali and Farah Khan Ali will tell you how big the jewellery business is in India, wedding or not. But when it comes to weddings, jewellery is undoubtedly one of the most important aspects. It completes the bridal look, is a status symbol and works as an solid investment. Exclusive Polki and Kundan sets offer great scope in a country where precious gems and metals are always in demand. 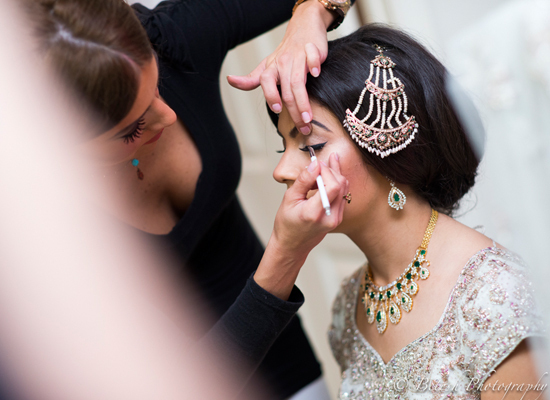 Another aspect of bridal beauty is hair and makeup. Looking elegant without going over the top requires a skilled team of makeup technicians and hair stylists, and people are willing to pay big bucks to get this one right. The peak wedding season brings business to hotels in many forms – accommodation for out-of-towners, venues for every function, and destinations for honeymoons. Most hotels and resorts make the most of this, advertising themselves as honeymoon destinations or wedding venues. Many resorts are great honeymoon spots, providing exclusive and attractive packages for newlyweds. Some of these double as ideal locations for a destination wedding; these resorts usually embody natural beauty and romance. During wedding season, regardless of how business has been for the rest of the year, bookings are usually full at banquet halls, hotels and lawns. An Indian wedding is incomplete without mehendi, and while not as much is spent on it compared to things like the venues and photography, mehendiwalis play a key role in getting the bride ready. Finding the right artist is not as easy as it sounds; prospective brides go through plenty of artists and design books before zeroing in on someone. Bridal mehendi artists spend tedious hours making intricate and special designs for the bride, and the more talented ones can cost a pretty penny. We don’t need to tell you what a huge influence Bollywood has on modern trends. The song and dance that are essential parts of most Hindi movies have rubbed off on wedding culture, and as the wedding trade grows exponentially, so do the sangeets. These days, they’re all about glitz and glamour. 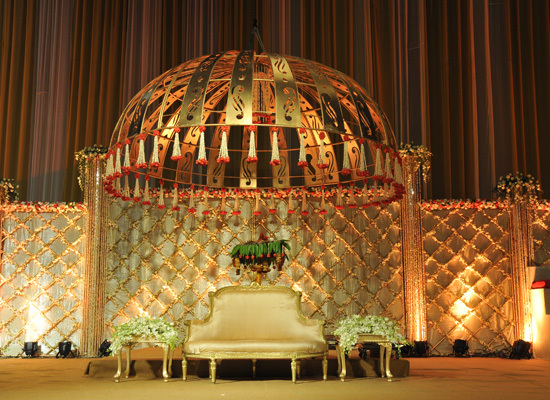 Irrespective of how big or small your wedding ceremony is, a long and elaborate sangeet is almost a must. Hiring a choreographer is vital, and sangeets are where many professionals make a considerable part of their income. Coming up with original steps and spending hours getting everyone to move just right comes at a cost. Speaking of music, most people these days hire DJs to play at the sangeet and reception. After all, there can’t be any naach without the gaana. Playing the latest Bollywood numbers at the engagement and sangeet while going all-out at the reception, DJs benefit greatly from the wedding industry. Good jockeys don’t come easy or cheap. Amateurs might charge thousands for Saturday nights and private parties, but weddings change everything. Professional, big-name DJs are a whole other story. 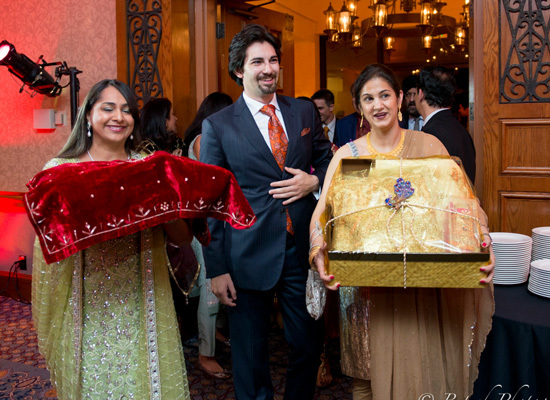 Another lucrative business aspect of weddings is the gifting culture. The money spent on a wedding is directly proportional to its grandeur, and people love to splurge on gifts. Sending people home with a special (read: expensive) memento of the gala is a must, and these gifts can range from glass bangles to silver or gold jewellery. Even invitations these days have grown more extravagant. In fact, many of them include mementos to begin with! Though not usually enormous, a considerable percentage of the wedding budget goes toward invitations and gifts.